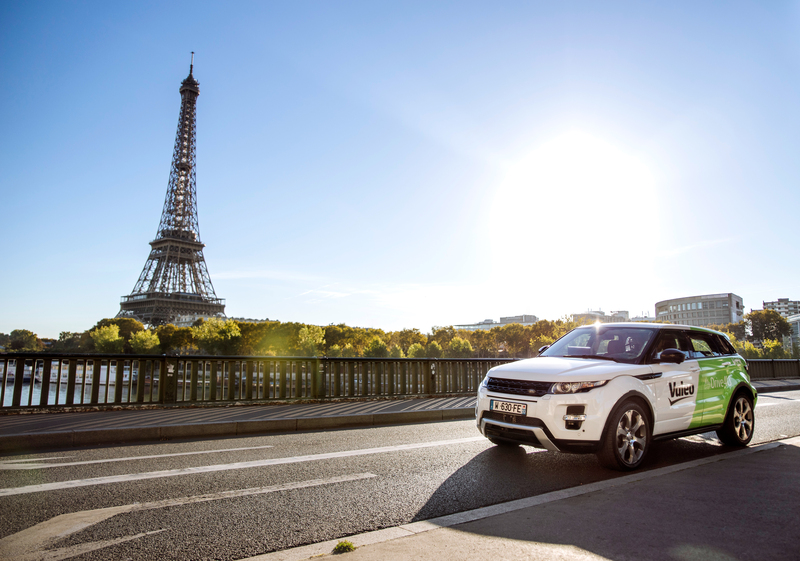 The first autonomous car is tested on the busy roads of the French capital: Valeo Drive4U®. Think it’s possible to navigate the bustling streets of Paris without your hands firmly gripping the steering wheel? Yes: Valeo Drive4U® did it! During a recent test drive, in real conditions, in the heart of Paris, Valeo’s demo car offered a glimpse of the future of driving. Boasting the second highest level of automation possible (4 out of 5), the vehicle can “see” thanks to its four peripheral cameras, front-view camera, four radars and a dozen ultrasonic sensors arranged all over the vehicle for 360° visibility. Furthermore, its eight SCALA® laser scanners, the only mass-produced Light Detection and Ranging (LiDAR) technology on the market today, allow the vehicle to drive without human intervention through tunnels, car parks, and other environments where GPS signal may be lost. That’s not all: Valeo’s Drive4U® car is able to learn by itself. Equipped with artificial intelligence (AI), the vehicle is able to process all the information collected by its sensors in real time and make decisions, without ever compromising the safety of its passengers or other road users. The vehicle can adapt to different situations, including new ones – important in busy city centers where dodging pedestrians, cyclists, other cars and trucks requires constant attention. Using a 3D model of surrounding vehicles, Valeo’s innovation can also predict their trajectories, including those not in its immediate field of vision!